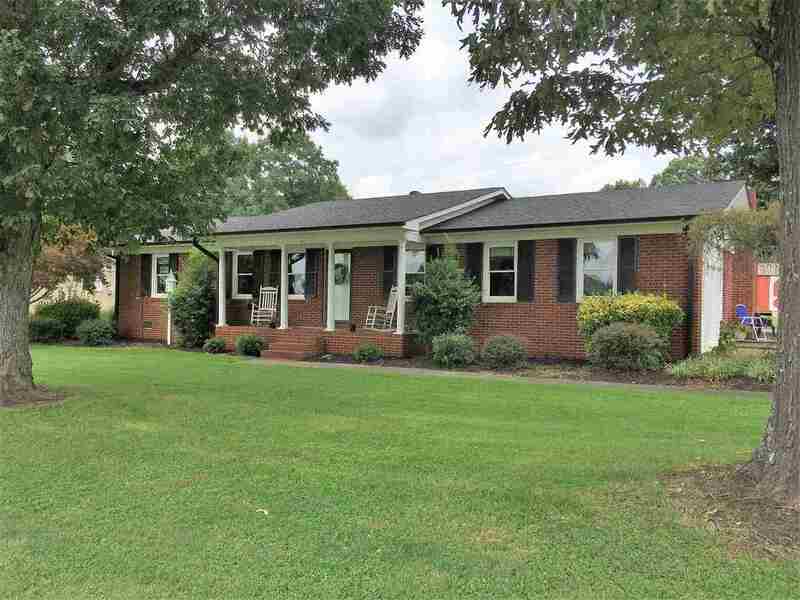 BEAUTIFUL 3BD/2BA Ranch with in ground pool! Covered front porch welcomes you inside to a formal living room! Updated kitchen with all appliances, closet with W/D that conveys! Office currently being used as a 4th. bedroom! Dining room with access to the pool with a privacy fence and deck! Family room with portable FP/gas logs, and access to the attic! Master bedroom with double closets, and master bath with shower only! Full bath with tub/shower in hall! 2nd. bedroom is a good size with double closets! 3rd. bedroom with standard closet! Level, landscaped yard perfect for children and pets with 2 storage buildings! Concrete drive! Conveniently located to shopping and major highways! A must see!